Need a long cable? Mediabridge USB 2.0 cables come in a variety of lengths to fit your needs. 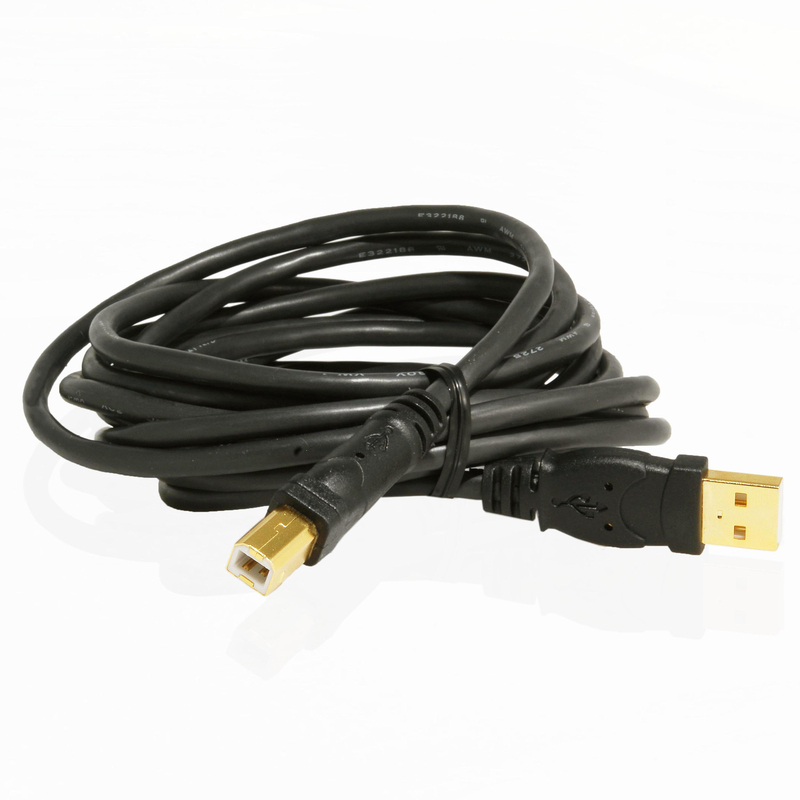 Mediabridge USB 2.0 cables provide error-free transfer rates of up to 480Mbps. Whether you’re connecting your PC to your printer or you’re an audiophile hooking up a digital to analog converter, these cables will work perfectly. Will this cable provide power to my device? Yes, this USB 2.0 cable is capable of passing power from the USB port on your PC. Although USB 2.0 ports can only provide 500mA, this cable is capable of sustaining over 2.4A due to 26AWG power conductors. Is this cable compatible with Apple and/or Windows computers? Yes, this cable will work with any USB 2.0 port regardless of which Operating System your computer runs. Will this work for my printer or scanner? Most likely yes since most printers and scanners are equipped with USB 2.0 Type-B ports. Does this cable support high quality audio for my DAC (Digital to Analog Converter)? Yes, this cable supports High-Speed USB with error-free data transfer speeds up to 480Mbps.